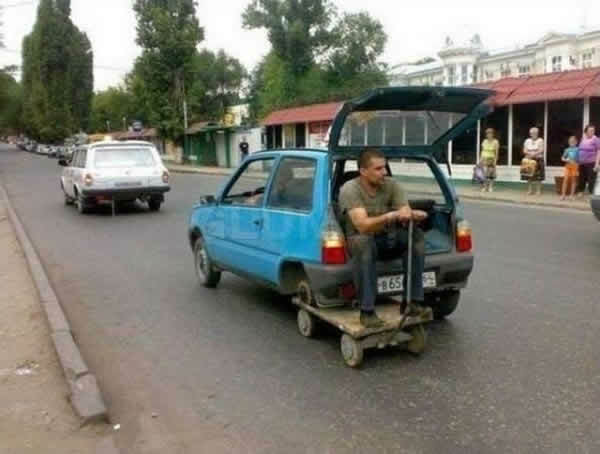 Don't have a spare tire? Don't panic, these guys can solve your problem. 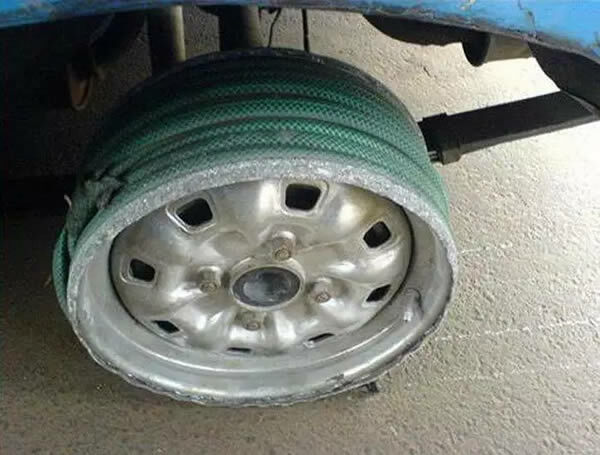 So you've lost a tire and don't have a spare. What would you do? 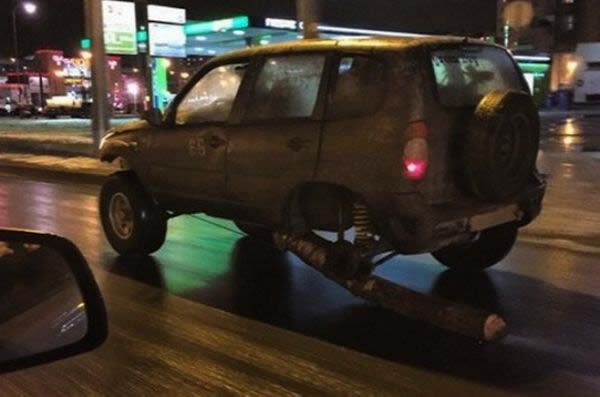 The driver of this SUV in St. Petersburg replaced his tire with log. 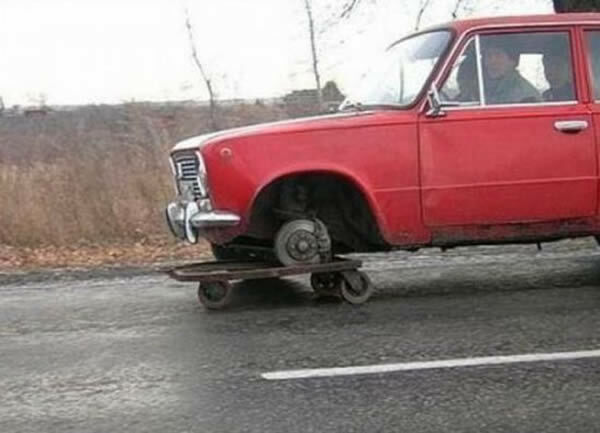 He was spotted driving at about 50 kph (31 mph). 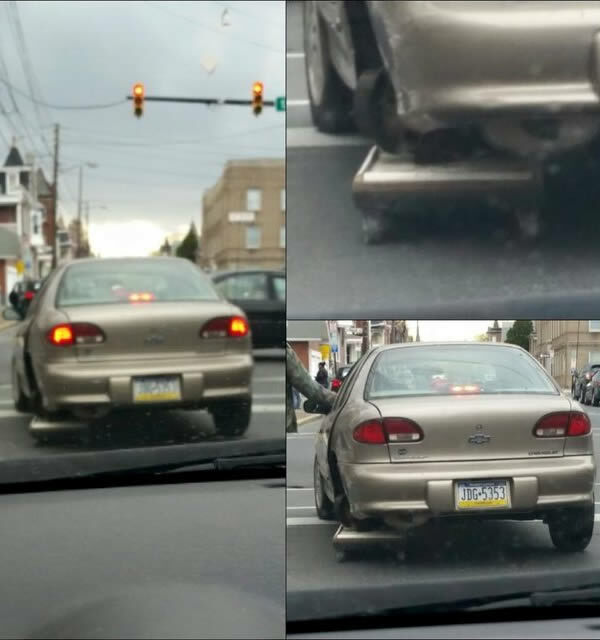 Click here for a gallery of how this car lost its tire and the driver replaced it with a log, which he drove on until it was worn down. 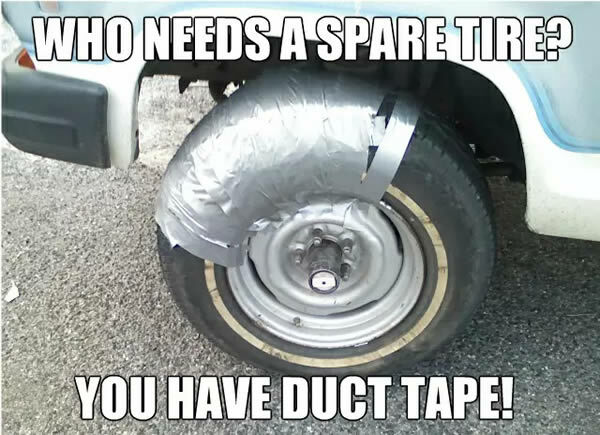 They really mean it when they say you can duct tape anything. 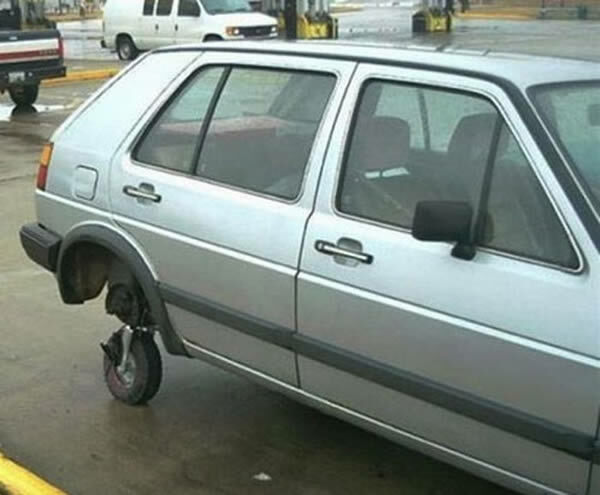 No spare tire? No problem! 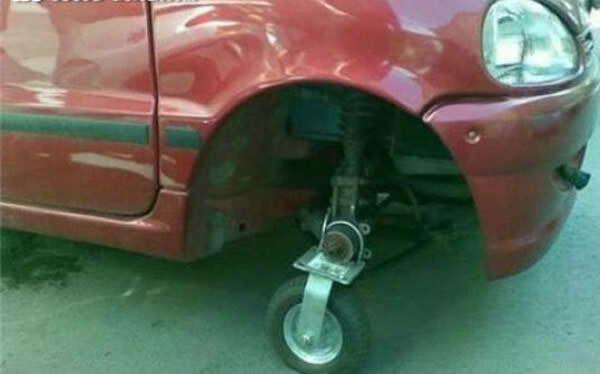 MacGyver would be proud of this guy. 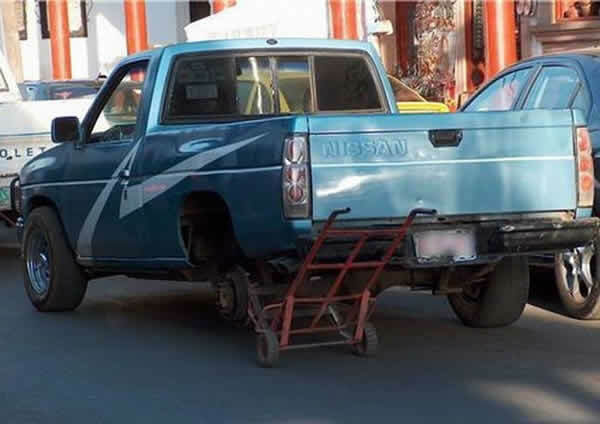 This pick-up truck has a dolly as an ad hoc back wheel. 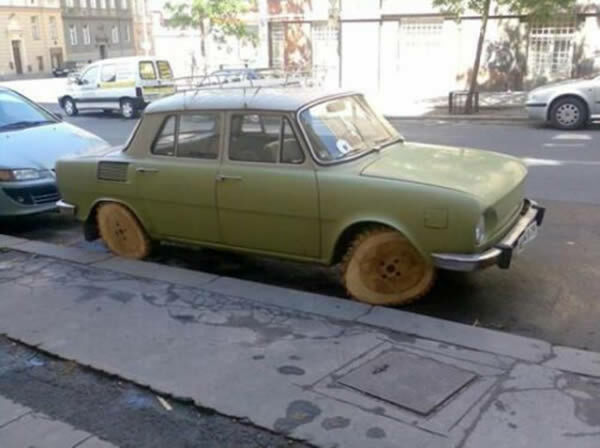 Having four wheels are totally overrated. 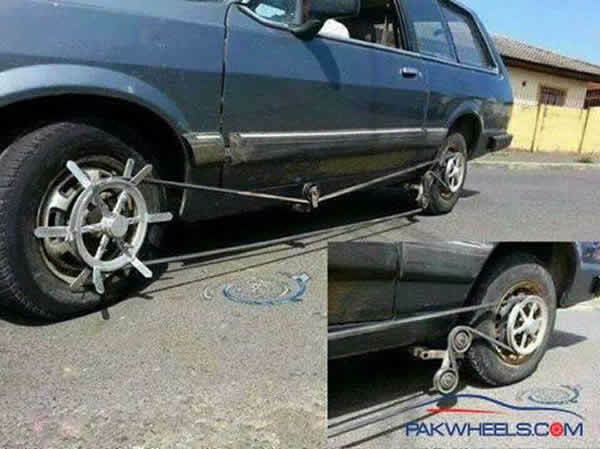 Sure, rubber hoses work just as well as rubber tires. 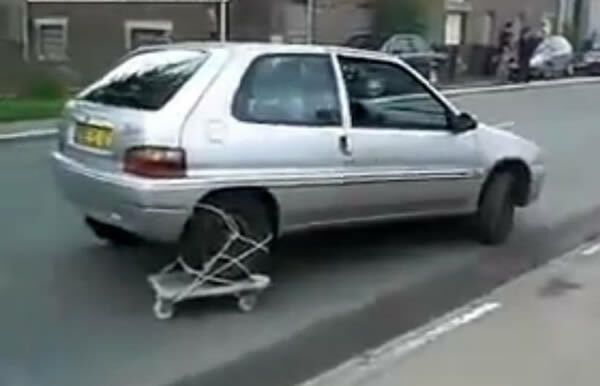 When you don't have a spare, just go for the next best thing. These guys got it right! 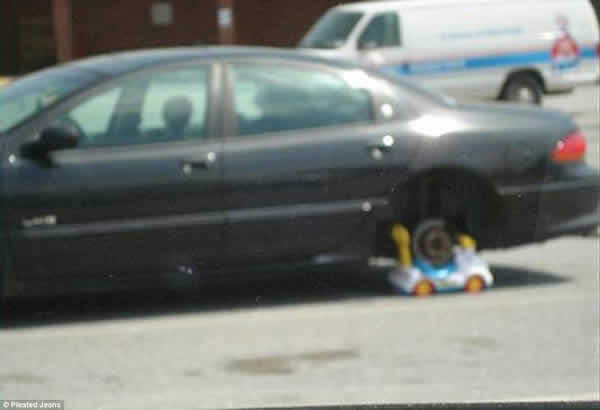 After suffering a puncture, this motorist attempted to fix his car by putting a child's cart underneath the rear wheel.